Dr. Madhu Kotiya is a renowned Tarot Mentor, Energy Vastu Expert, Numerologist, and a Spiritual and Psychic Healer. She is also a channel to Archangels and ascended masters. Having devoted her life to the mystic world of Tarot since 1998, she laid the foundations of MShezaim Institute of Tarot and Divination in 2002, to promote the study of Tarot and Divination. Over the years, she has provided her services and helped many people with her psychic ability and healing powers. Some of the major areas she has worked in are depression, addictions, fears & phobias, emotional trauma, concentration issues, and relationship problems. Equipped with a PHD in alternative medicines and IT engineering degree. Dr Kotiya's sole mission is to change people's life for the better with her profound, in-depth psychic knowledge. She has acted as a relationship counselor to many young couples and helped them achieve stability in their relationship. Her followers have gained important insights, knowledge and benefits from her. Dr Madhu Kotiya also excels in energy healing services like Pranic Healing, Reiki, Angelic Healings, Crystal Healings, Candle Flame Healing, and Ancient Craft Healings where the patients are treated at their aura level. Once the energy body is treated, physical body also starts to heal. She also practices healing animals as they are more sensitive to nature. Dr Kotiya's institution has nourished many aspiring tarot readers, while the number of her students continues to increase all over the world. 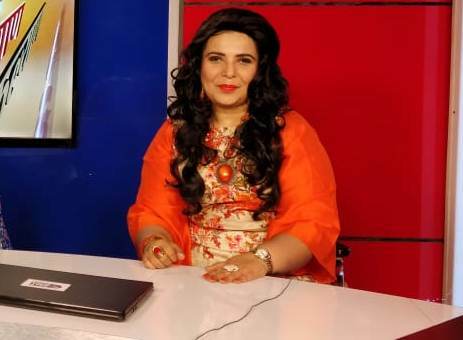 She started her own network "Shezaim Delhi Tarot Network" with the aim to connect all tarot seekers and experts in the city, as well as spread knowledge and awareness about tarot. Tarot Card Reading is a diving-art divination. A tarot reading aims at giving anyone an insight into their own soul. While attending a tarot reading session and picking some particular cards is no coincidence, you are actually destined to select them. The cards you opt will give an intimate account of various facets and situations of your life. The reading will aim to regain your soul of all the blinding dust and pave way for you to understand what, where, why and when of your life. Click Shezaim Delhi Tarot Network for a Reading Session. Councelling, Angelic Healing, Pshycic Protection, hello madhu ji, thank you for the effective healings n councelling that u gave it to me. Life has changed in a very good way. I am in now more happy state of mind. Past Life Regression, Spiritual Healing, Madhu Mam, you are like an angel to me, your guidance and healing has changed my life completely. I am now successful in my career and also my relationship with my relatives has improved. Thanks so much for your help and guidance.